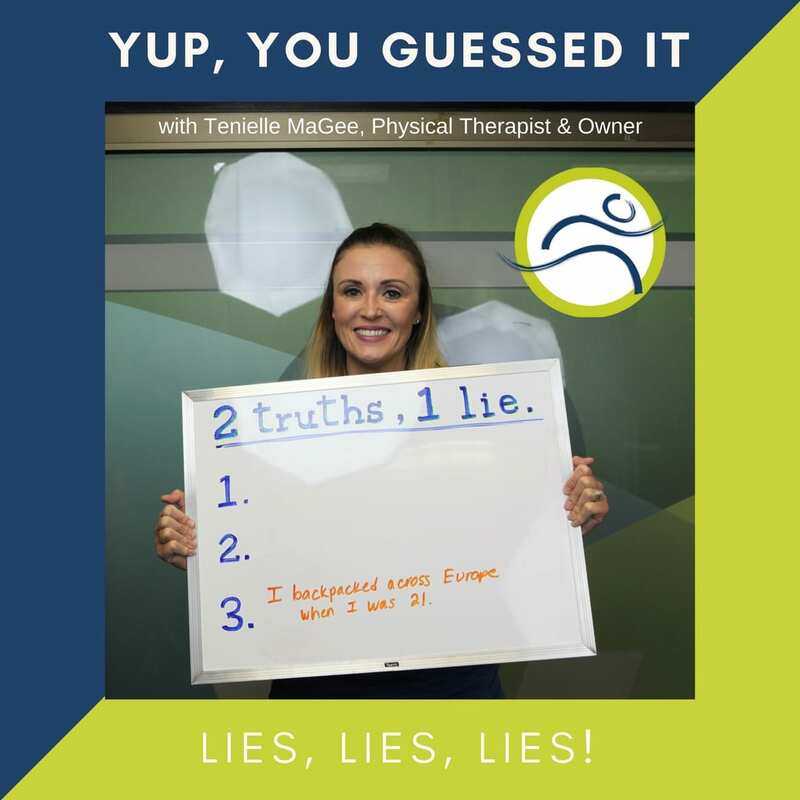 Leduc Physio; Our Staff: 2 Truths, 1 Lie - Tenielle M.
Leduc Physio - Physical Therapy and Massage Therapy ServicesPhysiotherapyUncategorizedTenielle’s Lie! 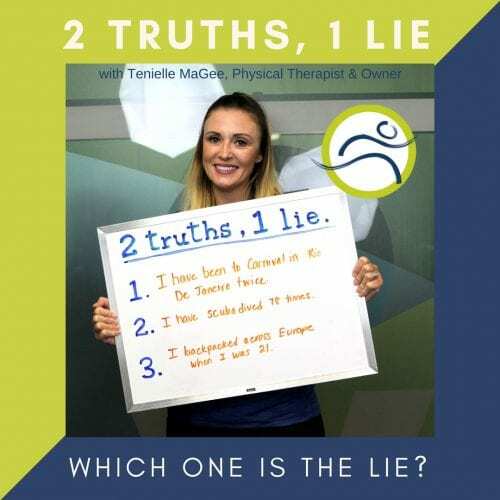 Tenielle’s lie is #3! She hasn’t backpacked across Europe. But she has spent time backpacking in South America, travelling from Argentina to Mexico City. She also likes to fish, ski, surf, dive, and camp. Tenielle usually has a million things on the go, but she always makes time for her two kids! Tenielle is a physiotherapist as well as the owner at Leduc Physio. She is trained in: CAFCI acupuncture, GunnIMS, Spinal Manipulation, Peripheral Manipulation, Radial Shockwave, and Vestibular Rehabilitation. Keep the guesses coming! 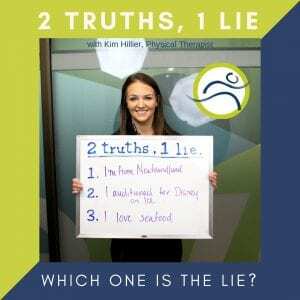 Try to GUESS which of Kim’s facts is a lie!